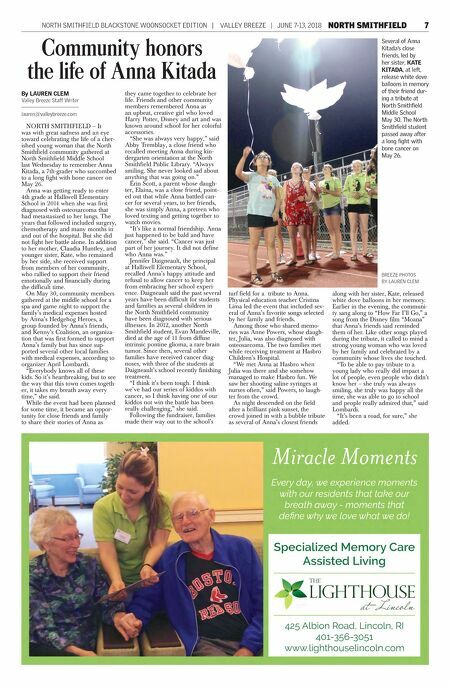 6 JUNE 7-13, 2018 | VALLEY BREEZE | NORTH SMITHFIELD BLACKSTONE WOONSOCKET EDITION national grid energy services hot water heater special residential / multi-family upgrade your gas hot water heater if your shower is going cold, you see rust or water leaking around your current heater, it is time to have it replaced. 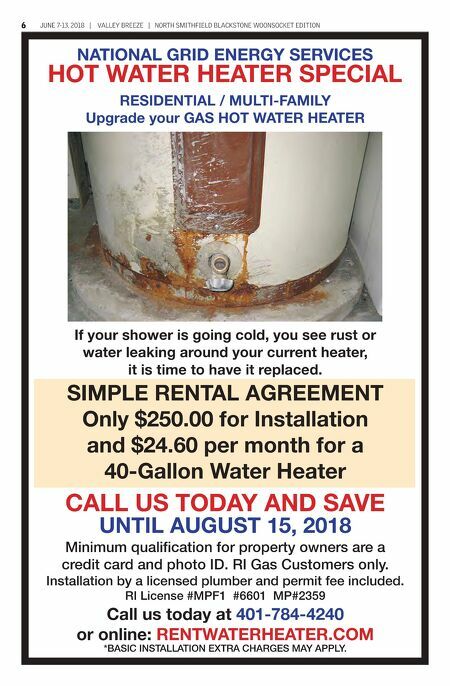 simple rental agreement only $250.00 for installation and $24.60 per month for a 40-gallon water heater call us today and save until august 15, 2018 Minimum qualification for property owners are a credit card and photo ID. RI Gas Customers only. Installation by a licensed plumber and permit fee included. RI License #MPF1 #6601 MP#2359 call us today at 401-784-4240 or online: rentwaterheater.com *BASIC INSTALLATION EXTRA CHARGES MAY APPLY.